Spirometry is an often proceeded medical examination for diagnostics or follow-ups of lung disorders, such as bronchial asthma or COPD. 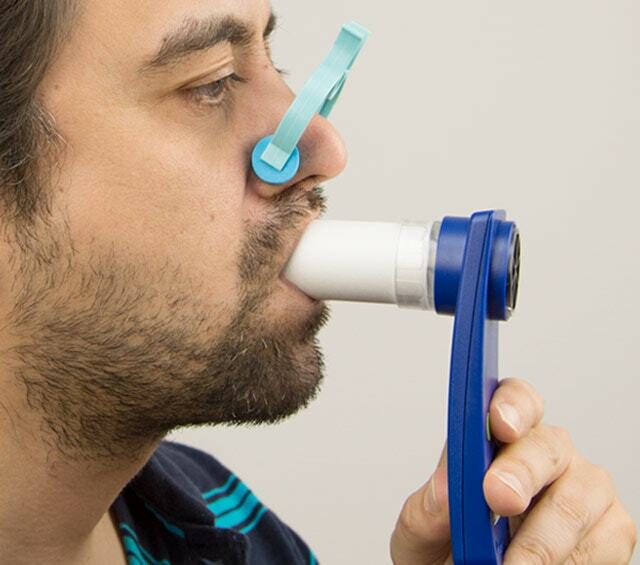 You may purchase affordable exam devices and consumables for lung function evaluation from us. In this category, you will find peak flow meters, COPD screeners for early COPD identification, as well as respiratory trainers for breathing exercises. Whether you are looking for mobile spirometers, stand-alone spirometers or PC spirometers, we supply the appropriate device for testing pulmonary functions for every scenario. 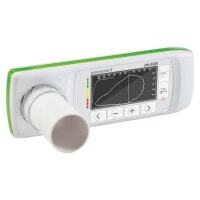 Praxisdienst offers a large selection of accessories for spirometry, such as calibration pumps, single-use turbines, mouthpieces and nose clips. With spirometry, lung volume and airflow speed can be used as testing methods to effectively determine lung function. With the medical procedure also known as spirography, important conclusions can be drawn on the presences of lung disorders and their progression. The non-invasive, painless examination often comes into use in pneumology and can be done in the presence of medical personnel or independently by the patient. Spirometry allows one to determine the vital capacity of the lungs, the inhalation volume, as well as the inspiratory and expiratory reserve volume, etc. In our online shop, we offer you a wide selection of devices for evaluating lung function, as well as accessories for lung function diagnostics. 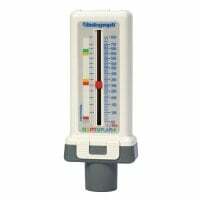 Peak flow meters are often applied for progression monitoring in asthma patients. They help encourage cooperation in most young patients, as they are easy to operate and can be independently used by the patient at home. The goals of the doctor is to reduce the frequency of doctor visits and thus, improve the patient's dealings with the illness and ultimately, improve patient compliance. Spirometers, for evaluating lung function, come into use within the general practice for diagnosing restrictive and obstructive lung disorders. After diagnosis, they are helpful in progression monitoring, in order to determine the therapeutic measures for each individual patient. We have gathered an assortment of diverse, high-quality devices that you may conveniently purchase from us at affordable prices. 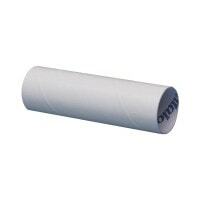 Consumables and spirometry accessories complete your lung function diagnostic equipment. In addition to single-use consumables, such as single-use mouthpieces and turbines, you will also find various thermal printer register paper, bacteria-virus filters and pulse oximeter sensors. Should you not be able to find the product you need, contact us. We can often help you, as we consistently expand our assortment. Do you have questions about our spirometry products? We are available per telephone, email or in our convenient chat.